Somewhere in the mists of time, a volcano erupted and the archipelago of Madeira was formed. Rising from the floor of the Atlantic to a height of 6,108 feet at Pico Ruivo, rugged peaks cut through the clouds, while ravines plunge dramatically to the sea. It was discovered by Portuguese explorer João Gonçalves Zarco five centuries ago; the will and dedication of the settlers transformed this savage wilderness into ‘the pearl of the Atlantic’. The island is home to a quarter of a million Madeirans, whose most famous son these days is footballer Cristiano Ronaldo. Lying in the path of the trade winds, some 500 miles west of Casablanca, temperate Madeira has played host to voyagers passing between the Old and New Worlds. Now it is a popular port of call for cruise ships and a perennial favourite when Britain shivers during winter chills. For such a small island there’s a surprising variety of excursions for the active traveller as well as more staid pursuits. 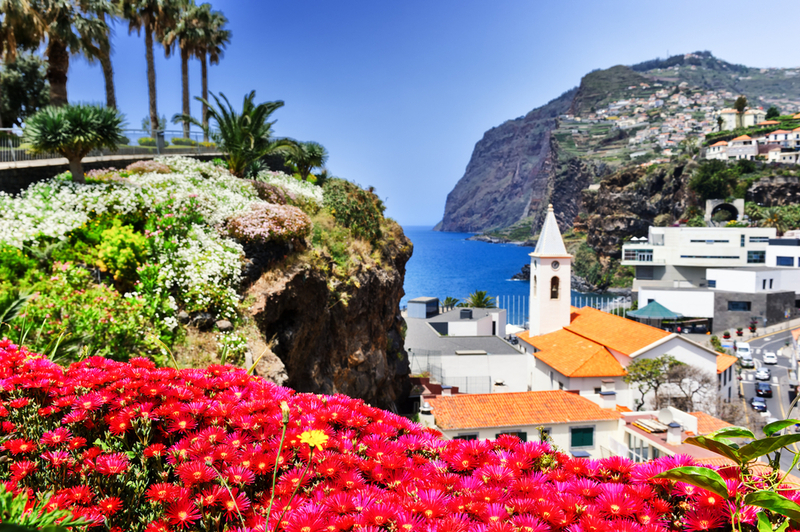 No visit is complete without an exploration of the Zona Velha do Funchal – the cradle of the capital where baroque green-shuttered buildings are edged with black and white mosaic pavements littered with jacaranda blossoms. the emblematic Museu Quinta das Cruzes; the Museu de Arte Sacra, home to a priceless collection of Flemish Renaissance paintings; and the Colégio dos Jesuítas with its carvings, tiles and paintings from the 17th and 18th centuries. 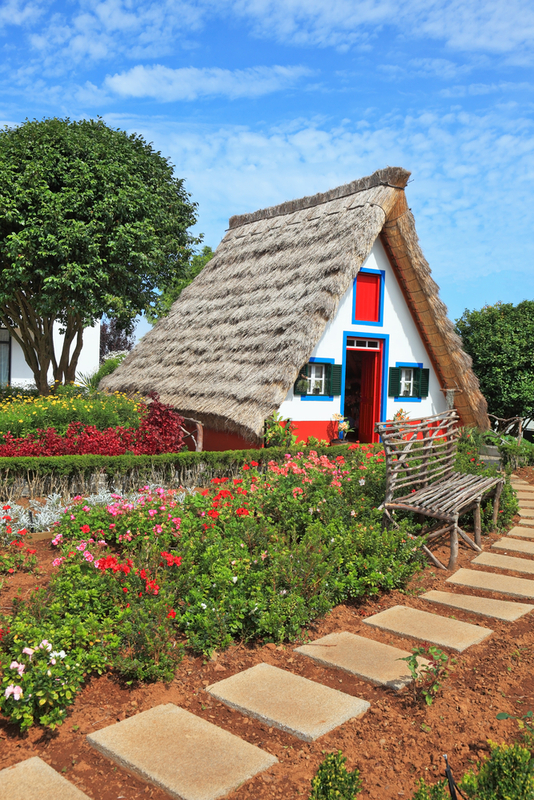 Villages on the outskirts of Funchal bask in a more bucolic lifestyle. In Câmara de Lobos, where Winston Churchill painted in the 1950s, craggy fishermen put out to sea in red, yellow and blue-striped boats that dot the horseshoe beach. In Camacha, the wicker capital of the island, craftsmen bend, braid, and twist willow into every shape and purpose imaginable. The 10-minute toboggan ride from the steps of the Nossa Senhora do Monte Church is a time-honoured tradition for tourist, sliding down steep and winding roads to the Funchal suburb of Livramento at speeds up to 30 mph. White-suited drivers in natty straw hats run alongside, pushing and steering the twoseater wicker sleds known as Carros de Cesto. Funchal’s lush Jardim Botânico is laid out on terraces with views of the Ribeira de João Gomes Gorge. 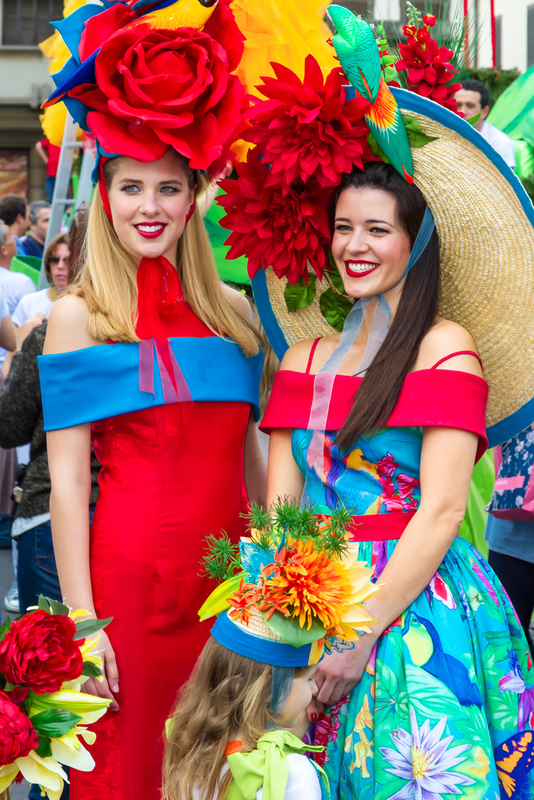 Flower lovers can also sign up for tours to the 18th century Quinta do Palheiro Gardens – famous not only for the variety of plants but for the beauty of the setting in the hills to the east of the city. Many tours also visit the levadas – a network of man-made irrigation channels carved into the hillsides. These peaceful paths make for easy walking and provide a tranquil opportunity to appreciate the contrasts of this island. Rising to 1,900 feet, Cabo Girão is the second-highest sea cliff in the world. Tours take guests to a new transparent glass walkway – similar to that at Arizona’s Grand Canyon – affording an unforgettable experience and stunning views over the cliff. In contrast to exploration and exertion, there’s no finer way to leave the 21st century behind than by takingafternoon tea at the Belmond Reid’s Palace. Built in 1891 by William Reid, a Scottish immigrant who arrived in Madeira with just £5 in his pocket, the hotel quickly acquired a reputation as a roosting place for wellheeled Brits. George Bernard Shaw took a spin around the dance floor, and in uncharacteristic modesty wrote to the hotel’s dance instructor, addressed, “to the only man who ever taught me anything”. Reid’s elegant tea terrace has a marvellous view over Funchal to the ships waiting at the dockside far below. Cruise passengers who appreciate the finer things in life can revel in nostalgia while enjoying tea, cakes and sandwiches before a guided tour of the hotel’s lush gardens – recalling the days when Churchill retreated here to write his war memoires. 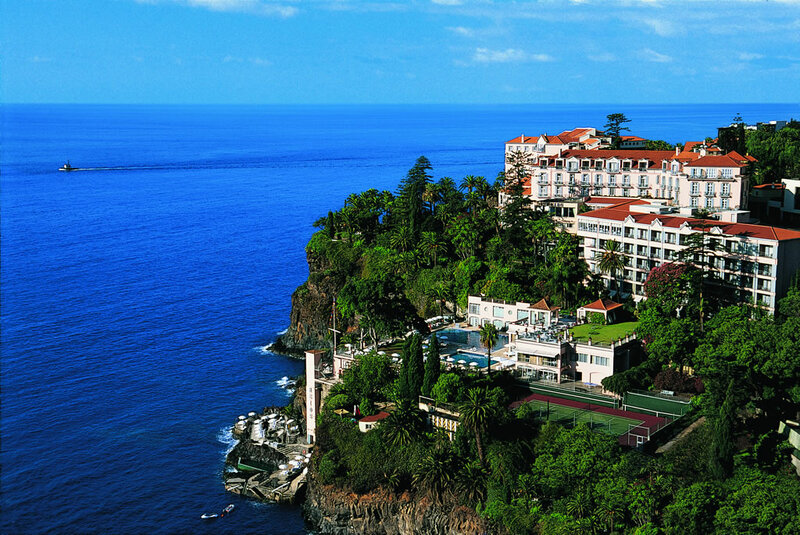 At €35.50 a head, it might cost more than tea back on board ship, but it’s worth every penny (www.belmond.com/reidspalace-madeira.com). As Flanders and Swann almost wrote in their saucy little song: Have some Madeira, m’dear, it’s charming any time of the year.